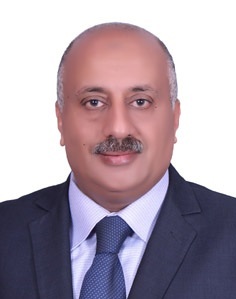 Dr. Gamal Abd El-Nasser received his Ph.D. (2016) in computer science from Faculty of Computer and Information Sciences, Ain Shams University. M.Sc. (2012) in computer science from College of Computing & Information Technology, Arab Academy for Science and Technology and Maritime Transport (AASTMT). Graduate Diploma (2006) in Computer Science, College of Computing & Information Technology, Arab Academy for Science and Technology and Maritime Transport. B.Sc (1990) from Faculty of Electronic Engineering, Menofia University. His work experience as a Researcher, Maritime Researches & Consultancies Center, Egypt. Computer Teacher, College of Technology, Kingdom Of Saudi Arabia and Lecturer, Port Training Institute, (AASTMT), Egypt. His research areas include Artificial Intelligence - Optimization - Modeling & Simulation - Evolutionary Computing - Cloud Computing. -Computer Developer (Programming of Maritime Transport Sector applications). -Project Manager (Information system for Egyptian Authority of Maritime Safety). -Teaching theoretical and experimental courses in the area of Electronics , Computer Engineering and Computer Programing. - Sharing in the college study plan and the courses Syllabus. Member of the Editorial Review Board of the International Journal of Applied Logistics (IJAL) ISSN: 1947-9573.